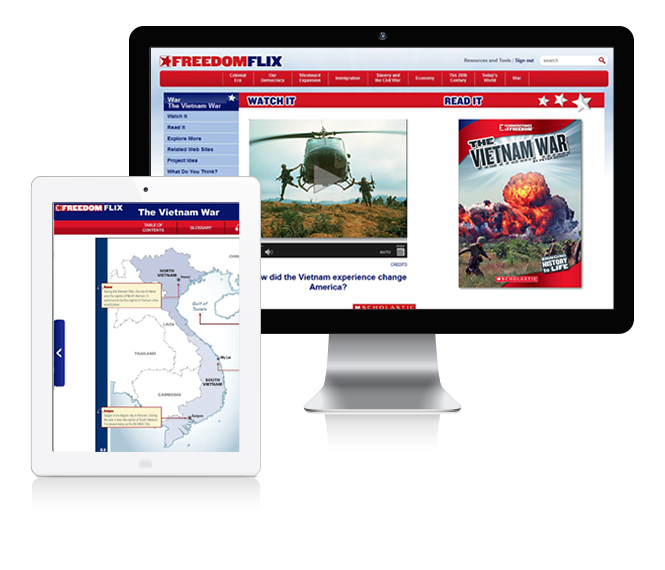 FreedomFlix is an exciting digital resource that will engage even the most reluctant readers! With more than 50 social studies units spanning ten core curricula areas, FreedomFlix provides a wealth of learning opportunities. Each unit includes an introductory video, a dynamic ebook, related articles, primary sources, and vetted weblinks that expose students to a range of text types and media on the same subject. Project ideas and games offer more opportunities to learn and engage in class-wide discussions and activities. Watch, read, explore! 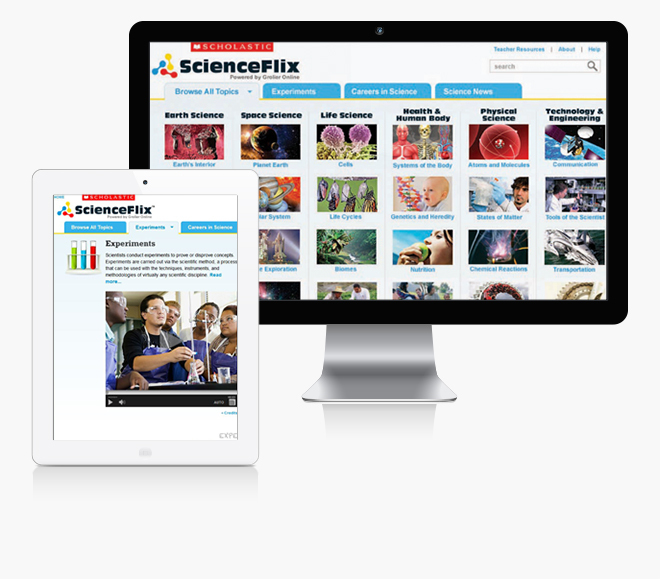 ScienceFlix is transforming the way students access science topics, acquire scientific knowledge, and build a lasting interest in science, technology, and engineering. Curriculum-driven leveled content is integrated with interactive features and intuitive navigation in this highly engaging mobile-ready science resource. With its emphasis on the latest STEM thinking and the Next Generation Science Standards, ScienceFlix provides students with a better understanding of science concepts and ideas through hands-on projects, videos, multiple text types, and so much more. 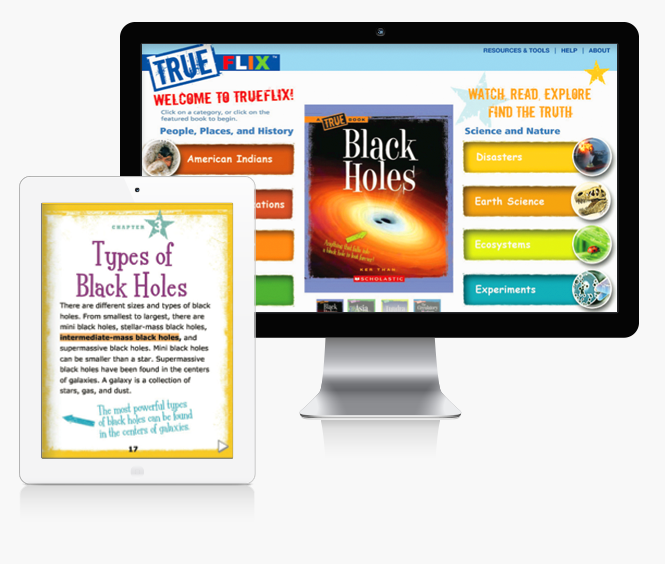 Offering dozens of units to supplement social studies and science core curricula learning, TrueFlix is a highly-engaging multimedia resource that can be used in the library, the classroom, on mobile devices, or at home. Beautiful, authentic ebooks are enhanced with a deep and diverse reservoir of related content in a variety of text types and media—including primary sources, fiction, videos, audio clips, images, and related websites. TrueFlix helps students improve literacy skills, build content-area knowledge, and cultivate the critical skills necessary for academic success and college and career readiness.